Al Ghazi Tractor LTD (AGTL) was incorporated in June 26,1983 and is a jointholding of Al-Futtain (industries) ltd and Fiat /New Holland of Italy. The company commenced its operations on september 1, 1983 and is a joint holding of Al-Futtain(Industries) ltd and Fiat/ New Holland of Italy. The company commenced its operations on September 1, 1983. Al-Futtain( Industries) Ltd, part of Al- Futtain( private) Ltd. Of Dubai have held majority of shareholding in Al-Ghazi having acquired equity at the time of privatization in december 1991. Fiat New Holland at that time held only 5% equity. In May 1998, howver, Fiat New Holland incraesed its shareholding to 43.17% by aquiring the entire shareholding of NIT and other financial institutions. In parallel, Al-Futtain increased its shareholding to 50.02% thus maintaining its amjority position and amnagement control. This situation greatly benefits the company and its long term future. Fiat New Holland has now increased its technical support and assistance in R&D as well as giving the company greater access to its global network and wider product range, whilst Al-Futtan brings to the party its local knowledge and significant management expertise. In addition, both parties are totally committed to long term financial and strategic development of the business. A brief profile of the operating performance of the company would show that AGTL has achieved remarkable success in terms of profitability over the past couple of years despite the persistence economic slumps. 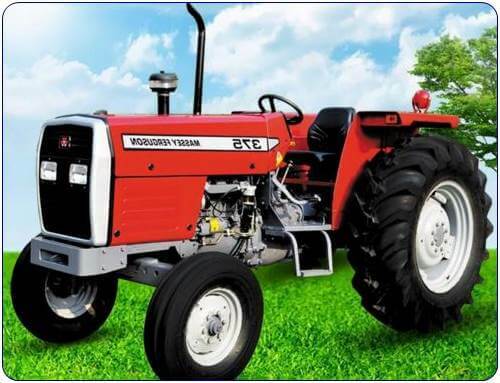 With added credibility, the tractor industries up turn in the year1997-98, catapulted the company to emerge as market leader of Pakistan’s Tractor Industries. Out of the 15021 units booked by the tractor industry during the year, the company captured orders for 7,495 units – almost 50% of the total booking of the tractor industry, compared with 40% last year. In terms of benefits and services provided to employees, the company maintains a provident fund along an employee gratuty fund. Besides these benefits, a worker’s profit participation fund and worker’s welfare funds are also maintained. The management also makes sure that a minimum safety standard is maintained at the AGTL factory inDera Ghazi Khan so as to ensure a safe environment for the employees. Medical benefits are also provided at the AGTL hospital. Although AGTL’S Personnel Department is a complete an professional function of the organization, yet, it does not possess a comprehensive “job analysis and job design” which is also essential in maintaining the right number and the right kind of people as a part of viable workforce. The function, however, is responsible for and is credited with keeping healthy working conditions for not only the employees in the factory but also the executive class. By this we mean that the job description is maintained for each job and this also prepares job specifications for certain kind of jobs. Hence, each job is thoroughly defined and elucidated as to its many functions, roles and responsibilities that are bestowed upon that particular worker for the job. Human resource functions refer to those tasks and duties performed in both large and small organizations to provide for and to coordinate human resource functions that are concerned with a variety of activities that significantly influence all areas of the organization. It is thus a very integral part of the organizational setting at AGTL. Needless to say, legal considerations regarding working safety, compensation are all taken into account while establishing this job analysis information. Human characteristics such as behavioral and psychological dimensions of the human personalities are also carefully considered while designing a particular job. I dare say that you think there is no science in shoveling dirt, that anyone can shovel dirt. ‘why,’ you say ‘to shovel it you just shovel, that is all there is to it’. It means that there is always a best way of doing things. The key to getting work done is to get the right people at the right place and to design a job that is doable, motivating as well as rewarding. It makes designing of a job even more important as every one in the organization is linked in a chain; and there is a chain reaction to every action of the people in the organization. 1-Elements are shifted out which hinder or help the quality of work life. The work itself and the arrangement of machines, workplace layouts, work methods and the sequence of work tasks. It directly or indirectly affects the control of ones job, socialization and self-direction. B- immediate job setting that is the management policies and procedure that directly impinge upon employees job. It also helps increase variety and releif form boredom and monotony, equity of work, physiological, security, equity and achievements. by unneeded elements it is meant that the extra things a worker has to do without achievement of anything. This leads to undue stress and fatigue and it also hinders an average person’s performance. 3-Evaluation of how the environmental challenges effect performance of the job. The physical work environment, which includes factors such as temperature, humidity, ventilation, noise, light and colour,can have an impact on the design of the jobs.while there are studies that clearly nidiacte that adverse physical conditions do have a negative effect on the performance, the degree of influence varies from individual to individual. it has to be carefully determined where the employees fit. If there is a misfit in the organization then the objectives of the company will never be achieved. Besides this the people will not feel relevant there and so demotivation will enter. This is the worst virus of them all. 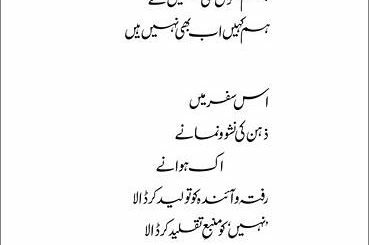 People are the major resource in nay organization and if they are nit dealt with properly the will not bare fruits. 5-What training needs are required for the employee. Many aspects of training are affected by job analysis. Whether or not a current or potential jobholder needs additional training can be decided only after the specific requirements of the job have been determined through a job analysis. Certaininly the establishement of training objectives is dependent on a job analysis. Another training-related use of job analysis is in helping to determine whether a problem is occuring because of a training need or because of some other reason. The above mentioned activities are obviously carried out at a micro level so that the exact nature of each job may be accurately determined. the pool of recruits that normally qualifiesfor consideration as future AGTL employee consistsof engineers,systems analysts, undregraduate and post graduate students applying for different positions in the company. The company also has an employee exchange program due to which workers are sent abroad in exchange for foreign workers/ trainees from countries like Germany, Italy and The Netherlands. This allows and exchange and transfer of expertise between local and foreign concerns of the company. Al-Ghazi Tractor Ltd. Employs certain specific principles of job reedesign which helps in establishing tasks that are both efficiently executable and are also ergonomically compatible with the employee’s needs/ demands. Hence, while considering the producitvity/ specialization trade-off or the satisfaction/ specialization trade-off, the human resource function makes sure that each task is so designed such that a minimum level of productivity/ satisfaction is met and specialization is also achieved to a certain extent. Inorder to to attain such a unique and indeed sensitive trade off, the human resource manager breaks down the task into small micro components and analyses each component in terms of its relavance to the task being analysed; necessary activities are further refined wheras superflwous or redundant activities are eliminated. Certain actions, however, are not eliminated even though they may be redundant to the objectives for which the job is beingdone. A micro motion involves a very elementary movements such as reaching, grasping, positioning, or releasing an object. An aggregation of two or mor micro motions forms an element. An element can be thought as a complete entity, such as picking up, transporting, and positioning an item. A grouping of work elements make a task. Related tasks comprise to make the duties of a job. Duties when combined with responsibilities define a position and a group of positions that are identical with respect to their major tasks and responsibilities form a job. For example, in a batch processing facility, a worker may lower or raise the engine holding platform by a level as the need may arise. Although valuable time is lost in lowering/ raising the platform, it is ergonomically conducive to the manner in which the worker carries out the task of engine assembly; by lowering/ raising the platform, the worker does not have to bend his back every time and this reduces the stress on him. Hence, we see that at the expense of a little bit of productivity, worker satisfaction is enhanced, the benefits of which may manifest themselves in many different forms in the long run, such as low turnover, low medical expense, higher worker morale and satisfaction etc. Although the much renowned production principles of “KAIZEN,” “JIDOKE” AND “JIT” are applied in the ADTL factory based at Dera Ghazi Khan, these have not had the setrimental effect of making amangement ignore the ever important human resource needs, demands and requirements. Under certain instances in which overspecialisation has occurred to such an extent that the job has become downright monotonous, the humanresource department keeps an open eye in this regatrds and remedies the situtation as quickly as possible. First of all, the finding that a certrain job is overspecialized is made through supervisors reports, production reports, employee performance charts and observation. All these charts and reports group todether to form the human resource information system at AGTL. The humanresource manager is then responsible fordevising certain techniques which may break the monotonous routine of the employeee in question and which would simultaneously boost production and worker satisfaction. job rotation takes place when a worker is shifted or rotated from one section to another or even one departmewnt to another department. For example at AGTL, a worker performing welding operations in welding section may be rotated to painting or engine assembly sections. This provides the employee with exposure to other functions within the manufacturing process, broadns his skills and abilities and finally reignites his interest in his work. Job rotation is also a good social and personal relations (PR) gimmick as it introduces the employees to new section personnel and circulates workers throughout the various, multifaceted sections of production facilities. AGTL human resource manager while deciding about executive class personnel also uses Job rotation as an option. Thus, sales executives may be rotated from sales department to finance function or the marketing function. Job enlargement, also known as horizontal loading is another option that is invariably exercised by human resource manager at AGTL while trying to tackle the problem of overspecialization. This technique, however, is usually confined to the production department personnel rather than any other department in the company. Workers in the plant are provided with additional (challenging) tasks to handle if ti becomes apparent that they are idle most of the time due to the inherent monotony of the existing jobs. Hence, a welding section worker worker may be required to weld not only the existing paraphernalia but also various components of the CKD (completely knocked down) units that arrive in large containers from local vendors. The human resource director, Mr. Naseem informed us that this is usually the practice at AGTL workshops and it is the prevalent method used by supervisors to counter overspecialisation effects. He said that employees feel a renewed sense of responsibility and commitment when they are provided with additional tasks to handle. This not only helps in maintaining a dedicated work force but also cosolidates productivity standards set by upper management. One final benefit of the above mentioned techniques as described to us by Mr. Naseem, was that in periods of high production andf output workers that have been rotated or whose jobs have priorly been enlarged are needed for filling in the gap or shortage of labour that suddenly arises. This due to the fact that these skills that they developed during job rotation and enlargement process can now be used in areas where management faces a shortage of skilled labour. These workers are uly awarded overtime compensation for the efforts that they put in. The following is a detailed account of the recruitment process at AL-Ghazi Tractors Ltd. It includes challenges that are normally faced by the human resource department while recruiting fresh employees, the recruitment process itself and the constraints upon effective recruitment that arises both from outside and within the organization. although the cost associated with recruting process was also mentioned as a mojor challenge, the human resource director declined to offer us even a rough idea or estimate of the costs which the organisation incurs annually when recruting fresh employees. The director explained that although there was a legislation protecting the rights if disabled, handicapped workers this was not thoroughly enforced by the law. Hence, in that sense the human resource managers did not haveto worruy much regarding the rights of these ‘special’ people. However he went on to say that since the influence of the workers’ union was so overwhelming especially in the automobile industry, this was a challenge that simply could not be ignored by the management. When probed to further elucidate upon the extent of worker union influnce on hiring decision, the humanresource director remained reticent and would not elaborate. However, it was clear by his manner that management frequently had to consider the “union variable” while making hiring decisions. Speaking upon the constraints offered by the general environment, Mr. Naseem said that usually these arouse in the form of inadequate worker supply both in terms of quantity and quality. The economy also played a leading role in this regard and the human resource function ferquently had to adjust their labour level to the demands of the economy. Fluctuations in the economy have recently forced the human resource manager to change their forecasting techniques for determining future human resource requirements. Last year the human resource department faced an acute shortage of personnel in the AGTL factory at Derea Ghazi Khan when producton levels suddenly leap frogged by 20%. Finally, we were told that another prime determinant of future human resource requirements was the short range as well as long term plans of the organization itself. These plans are made by upper management in conjunction with the middle and lower management personnel who provide data related to current and future trends in the market. Once the plans have been finalized, the human resource department is human resource department is responsible for determining the human resource requirements that would arise in the future to meet the objectives of each plan. Once the recruitment information regarding future human resource requirements is obtained through the AGTL human resource information system, all the steps through which stady and competent stream of recruits are pooled together are invoked. These steps have already taken into account human resource plans, specific requests by manager alongwith the number of vacaccies available for the fresh recruits. recruitment from within the company or consideration of applications filed by external aspirants (walk-ins). Solicitation of job applications from external souces. As explained by the human resource director, Mr. Naseem, the former form of recruitment is more prevalent than the latter i.e. management usually gives preference to the applications filed by existing company personnel especially in cases where hiring for middle management or upper management positions must be done. On the other hand, job application blanks are also issued by the company in order to invite foreign parties who may be interested intaking up a position in the company. These job applicxations forms are required to be furnished ta the recruitmemnt office (NIC building, Karachi) alongwith the resumes of the aspirants. These forms are sorted out and kept in a record. The applicants are then informed via mail/ telephone when they should come to the selection centre for giving the “screening interview”. It should be mentioned here that existing personnel who have applied for higher postings must also undergo an interview afterwhich they are considered for the job. The second method of recruitment at AGTL is admittedly still in its infancy stage and, as the director personnel informed us, must be refined inorder to obtain better results. Mr. Naseem informed us that AGTL has yet to start the process of going to business colleges or other such institutions in order to attract fresh graduates towards their company. According to him, that need simply has not arisen yet and will not be required until the near future. The company, however, does palve advertisments in the leading newspapers as a matter of routine. Any vacancies, whether they be in the form of a required school teacher at the AGTL Primary School or a Sales EXECUTIVE for the sales Department, may be advertised in the newspaper. And according to Mr. Naseem the advertisment is almost always answered with a more than adequate number of application forms and resumes. This method has the benefit of recruiting at the lowest cost possible and having the luxury of choosing from a wide array of personalities. certain policiec of the organisation which constrain effective recruiting. Various idosyncrasies of the recruiters themselves. Inducements and incentives offered by competing firms. As an exposition of the above mentioned points would only serve to further lay emphasis upon the fact that at AGTL, recruitment is considered a serious business and must be handled with care. Indeed, ceratin organisational policies regarding compensation and fringe benefits etc. fail to provide the recruiter with that extra bit of leverage and so there is a high probability that the applicant might, in the end, refuse the position in exchange for a more lucarative one being ofered by the rival company. Furthermore, the humanresource department must carefully determines adewquate pay scales for those employees who are sent for training abroad. If competitive pay scales do not already exist as a matter of company policy, then human resource must face the problem of increasing turnover. The main rival facing AGTL is millat Tractors which also controls 50% of the market share and is, thus force to be reckoned with. a high degree of motivation and enthusiasm to work. The purpose of the screening interview is basically to weed out those candidates who do not present a fit between themselves and the company. These individuals may either be lacking in the attributes mentioned earlier or they may simply not havewhat it takes to be in the company. Obviously there is an element of sebjectivity and discretion on the part of the interviewer involved in this process. But these selectors are usually qualified enough to recognise an inappropriate candidate when they see one for they know that even if that particular individual is hired now, he/she will not remain for a long time. Hence inorder to avoid costly turnover, these candidates are screened out and this facilitates the next step which is the main interview. As expalined by Mr. Naseem the main selection interview is usually about half an hour long and may at times be chairedby top company officials like the CEO, Mr. Pervaiz Ali, himself. The pattern of the interview is simple and unstructured. The candidates is made to feel relaxed and questions are asked in an amiable and friendly manner. At this particular point, weasked the director if stress interviewwere even used as an option in interviewing and he replied immediatelyin the negative.he said that the company was loathe to this type of interviewing and did not pursue it as a matter of policy. Besides, stressinterviews always need to be administered carefully and by a proffessional who knows what he is doing. Mr. Naseem was frankenough in disclosing the fact that there was nobody in the entire organisation who had had some sort of experience as a stress interviewer. Once the selection interview is finished, the candidate is thanked and shown the way out. He or she receives the result of the interview within one week’s time and is duly informed to undergo certain medical tests, which are a formality really, as stated by Mr. Naseem. These medical tests are administerd in order to make sure that the candidate does not carry harmful/ contagious disease like the measles, chicken pox or even AIDS. After clearing all the tests at AGTL the candidates is set to enter the two week orientation program which enables him/her to get an idea of the company policies, procedures, markets and personnel that will form the raison d’etre of his work at AGTL. At this point, the new employee is on probation and he/she will remain on probation for the next three months of service. The selection process for lower (blue collar) worketrs ar for that of teachers, doctors and physicians is usually less extensive and more simplified than the one used for selecting middle / upper level management personnel. Applications are sorted out, classified and kept in records by the personnel Dept. and eachcase is given due consideration. Successful candidates are immediately put in operation and there is no problem period for them. company policies on key issues like product, market, customer and strategy. The mangers, supervisors etc. that the employees would be dealing with in the near future. The demands and resposibilities of the job. Its relationships with other jobs in the company. The orienation program provides a great opportunity for the new employees to acclimatise to the organization, remove any dissonance that they may have had regarding the company and to socialize with the new people they would soon be working with. Hence, it is considered to be the “storming” stage of the group dynamics process, however, it is much less violent than how storming is usually done without the aid of seniors to show you the way. Mr. Naseem informed us that the orientation program at AGTL is so through that it has proven to be an effective cushion for all new employees who are just beginning to “learn the rope”. Due to the extensive information provided by this program workers are not overwhelmed by the demands of the actual job. They are instead mentally prepared to take on the job and this leads to higher performance levels. On the other hand, the management makes sure that supervisors are not unduly harsh on the newcomers and that they help out whenever a fershman is in need of assistance. Mr. Naseem said that the company does not belive in a “trail by fire” policy in which the fresh employee is thrown into the deep end and expexted to learn by making mistakes. According to him, this reduces the performance and morale of the worker. It also contributes to increasing stress levels which might, in all probability, induce higher turnover. The placement procedure of employees at AGTL is fairly simple and consistent with the procedure of other companies in the industry. Hence, we did not learn anything new or unique about the company in this regard. these are the principall factors which are looked at by top management while considering the placement of an individual. An employee record/ file, which is maintained for each employee, contains all the performance statics and employee behavioural information. These files are called up for review while determining a palcement decsion. The board which reviews these files may only consists of personnel Department decision makers if a lower management level placement decision is to be made. On the other hand, it may include senior executives if a top level posting or a foreign posting decision is to be made. After careful scruitning of the employer record, he or she may even be called for an interview with the top management if the position to be filled is an important one. Otherwise, the decision may be made only on the basis of the record itself alongwith recommendations from the employee’s supervisors and immediate seniors etc. When aske if employees are donated to lower level positions often, Mr. Naseem said that demotions seldom occur. However, this placement instrument is sometimes used by supervisors in the factory when a ceratin employee has to be disciplined. Infringements made by ‘rouge’ workers are punished in this manner and if the workers are punoished in this manner and if the worker still does not learn his lesson, then he may eventually be discharged. Discharging an employee can often be a sensitive issue due to the presence and influence of worker unions. Hence, such situations must be handled with care and it must be seen to that the action causes as few ripples in the organization as possible. For the system analysts, the two week orientationslongwith the three month probation period is more than enough to settle into the job. They are made to learn about and handle the computerized information system at AGTL with the guidance of senior steff members at the IT department there. The engineers, on the other hand, are sent on a six month training course to Multan, Rawalpindi and finally, Dera Ghazi Khan in which they laern about the many facets of tractor manufacturing, rebuilding and maintenance, infrastructure sustainability and other such technical subjects. Knowledge is imparted to these trainees by company instructors who themselves are engineers. Also, foreign engineers from Germany and Netherlands come to the students as guets speakers and speak at length about any of the above mentioned topics. The method of teaching the trainees is a combination of job instruction training, lecturing and coaching. Until recently, th company has started a program whereby the trainees will be given “vestibule” training to further their skills. Upon completion of the six months term, the trainees are considered fully able and competent to undertake the actual tasks st the factory. Other types of personnel who may require some sort of training include Marketing and Sales personnel. Thyese individuals are usually fresh MBA’s recruited from business institutes in the country and require training as to the specific Marketing techniques employeed by the company. They are sent on a three ro four month training assignment in which the specific sales techniques and gimmicks are made known to them by supervisors, sales amangers etc.. This usually involves on the field training whereby the trainees must accompany the sales representative and learn the trick of the trade. Coaching is done by the sales executive and he guides the trinee along the way. The trainee gets to know the major customers of the company, how each client is individually handled and how to make a sales even when the odds seem to be against the salesman. Furthermore, the trainee also learns about competing sales representatives from other companies and what tactics they normally employ in order to make a sale. At the end of the month training period, the trainee is deemed fit to enter the market and is duly given the title of Sales Representative,AGTL. A third category of personnel who require training are the blue collar factory but they are literate. The factory operations, supervisors etc. take these neophytes under their wing and gradually build up their skills in manufacturing. The average age of a newcomer at the factory work station is around 18-19 years. These lads are extensively coached, trained and allowed to practice on components until they get the knack of doing the job required of them. Normally it takes around 1 ½ – 2 years for a lad to move on from one processing centre to another more advanced one.